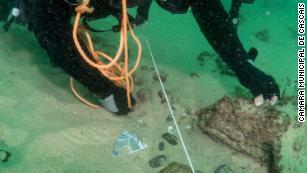 Archeologists have found a centuries-old shipwreck off Portugal's coast near Lisbon. Divers found spices, ceramics and shells at the wreck. Divers will continue exploring the wreck, and researchers will "have to complement the work in the field with research in our historical archives, to find out exactly which ship" this was, Freire said.